Toasting to new friends just got a bit more intimate with Budweiser’s new Buddy Cup, which automatically connects people on Facebook when they clink glasses before downing a cold one. 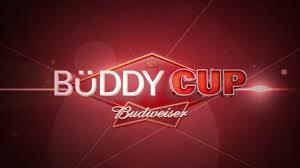 The new beer glass, launched by Budweiser Brazil, comes with a built-in chip integrated with Facebook, so when two people knock cups, they instantly become friends, at least in the virtual world. “So, they just did the same as always: Went out drinking Bud, and making new friends,” the company’s commercial said, while images of imbibers tapping cups and laughing crossed the screen.